Tablets (Whole day Ipads in Learning sessions at Hill of Banchory) . Please browse through the events we are organising and if there is a twilight or session that captures you interest then please let your line manager know and register online. 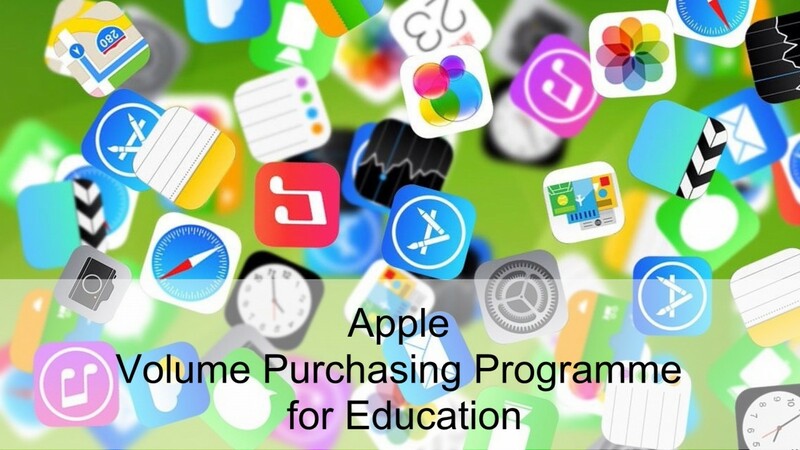 Last term the only way schools could purchase apps via the Apple Volume Purchase Programme was with the school Purchase Card. We now have a new facility where schools can purchase Credit for the Apple Volume Purchase Programme. Schools can purchase credit through Oracle using the information below. Volume Purchase Programme Credit via Oracle. The company supplying the credit is XMA who are already in Oracle as our main iPad supplier. Credit can be purchased in quantities of money e.g. The important part is that schools must supply the e-mail address that’s linked to their Apple Volume Purchase Programme. An additional document with the above info is attached below for you to print off if required.